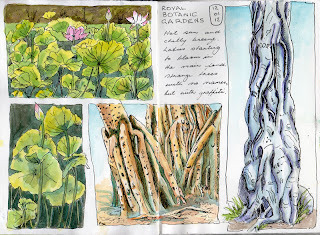 For three or four years now I've drawn the lotuses in the main pond at the Royal Botanic Gardens. This year we haven't had much sun, so given a sunny day last week we were down there at the lotus pond. This year they have huge leaves and not so many flowers. Maybe they will come later because it has been so cool. 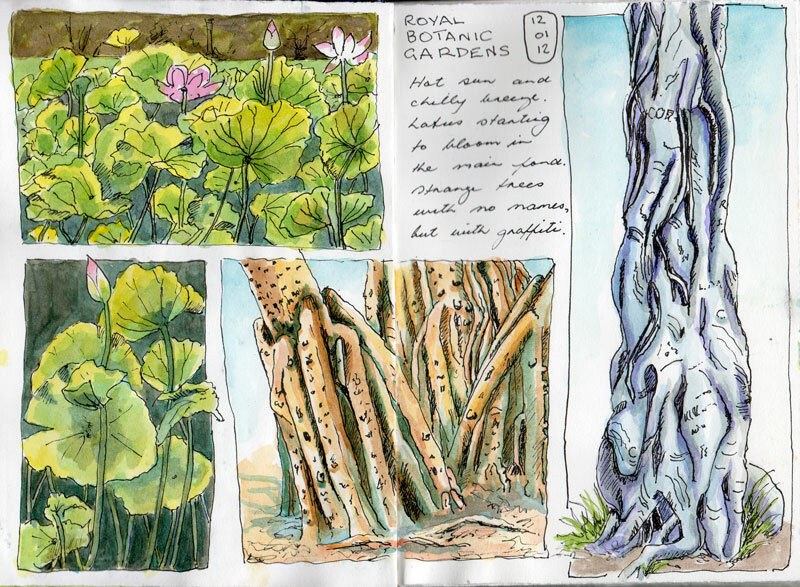 After lunch we looked for interesting trees to draw. We went on a wild goose chase looking for trees we'd found last summer and couldn't find again. In the end we found some marvellous new ones and I need to revisit them, particularly the one on the left, to draw them in a bigger space. Neither tree had a tag saying what it was.